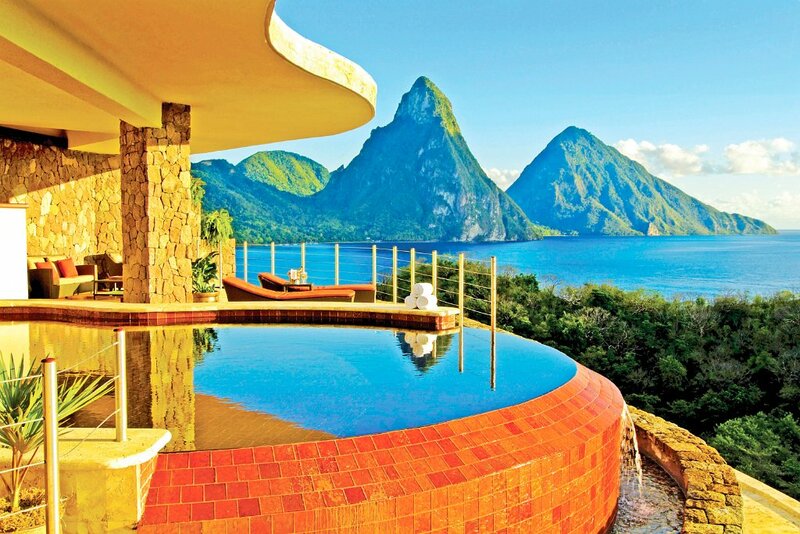 These 2 resorts in St Lucia are 2 of the nicest all inclusive resorts in the entire Caribbean. Which one is best? We actually get this question on a daily basis and the answer is not simple. A yes or no answer just doesn't do this question justice. As you can see we are trying to compare apples and oranges here. 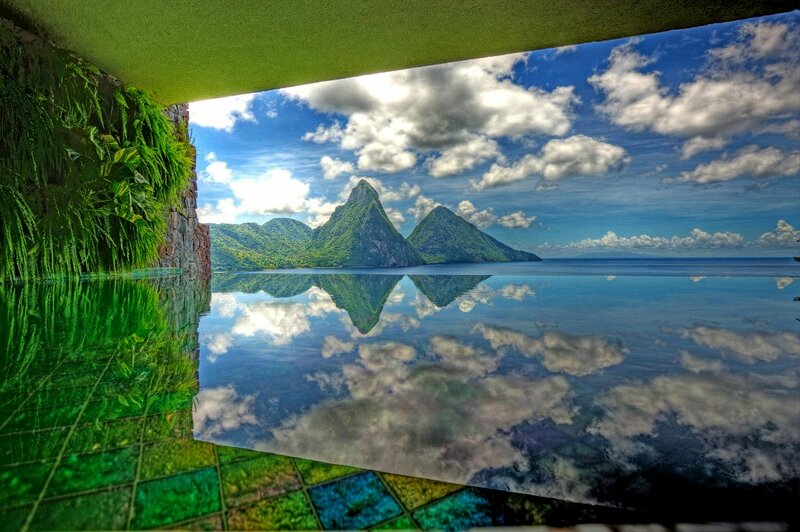 Jade Mountain is a one of a kind, boutique resort. 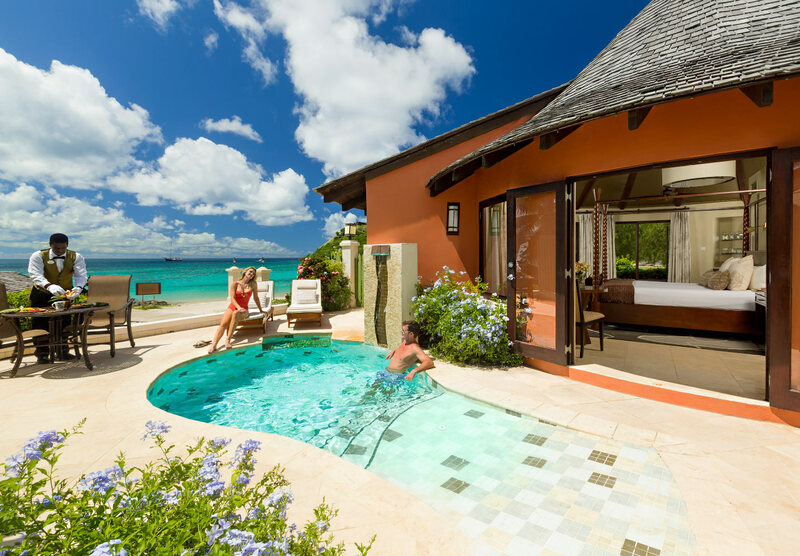 Sandals Grande St Lucian is very complete, comprehensive luxury all inclusive resort. We took a sampling of rooms for this June. 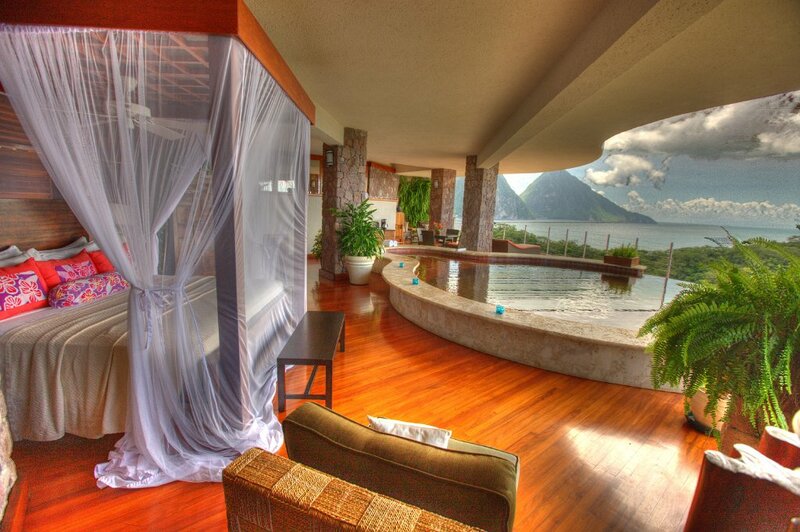 Jade Mountain's suites started at $1,498/night for the sky suite and up to $3033/night for the Sun Suite. 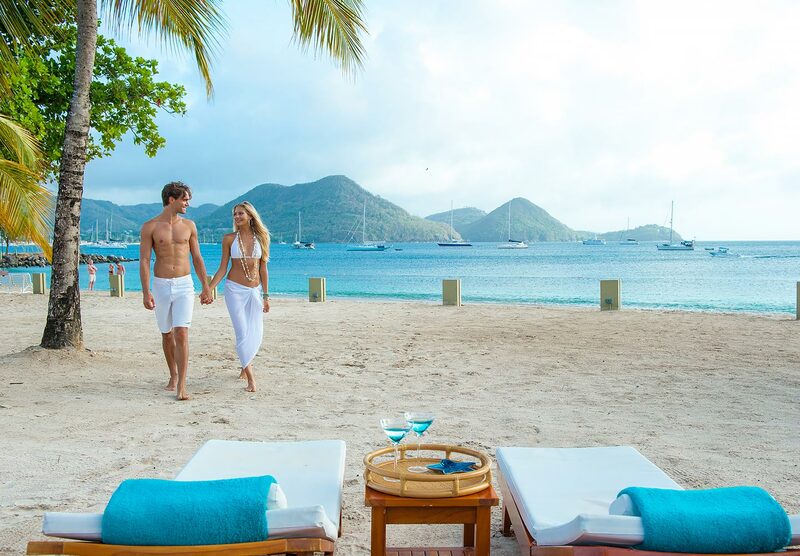 Sandals Grande St Lucian's least expensive rooms were sold out for the dates we checked. The lover's lagoon premium started at $646/night. Lovers lagoon swim up suites were $871/ night. Their top suites like the Rondovals with private pools are already sold out in June. This resort's least expensive and most expensive rooms sell out early, so book early. The rondoval suites with pools normally start around $1200/night. Jade Mountain gives you access to 2 beaches. One is very secluded and often times you can have it to yourself. The second main beach has salt and pepper sand. You are right at the "Pitons". This beach has amazing snorkeling and scuba right off the beach. I one time swam in the biggest wall of fish I've ever seen. This was a very unique experience that I will never forget. Sandals Grande St Lucian sits on the nicest white sand beach in all of St Lucia. 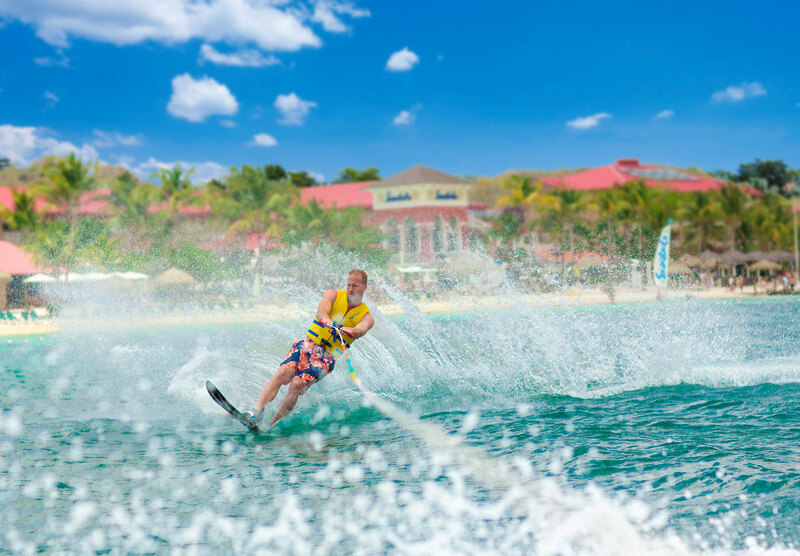 The resort is in a protected bay, so the bay is perfect for water skiing, wake boarding and knee boarding. 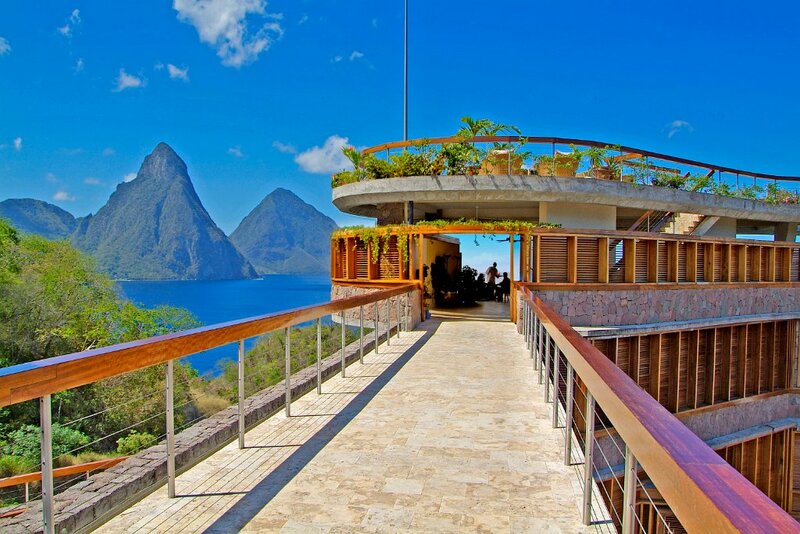 The Piton views at Jade Mountain are simply breathtaking. Sandals Grande St Lucian has absolutely beautiful scenic views of Rodney Bay. TIP: Do not book the Penthouse Ocean View at Sandals Grande. The view is one of the worst on property. I would rather put you in the least expensive room. Both resorts have some incredible suites. Jade Mountain's are a little more unique because of the view and also the fact that they only have 3 walls. Don't worry about privacy. You are on the side of a cliff. Even if King Kong was below, he couldn't see in your room. Jade Mountain is a place for people who entertain themselves and like peace and quite. The suites don't have a TV or radio. You do have WiFi and they have nightly entertainment 3 nights/week. 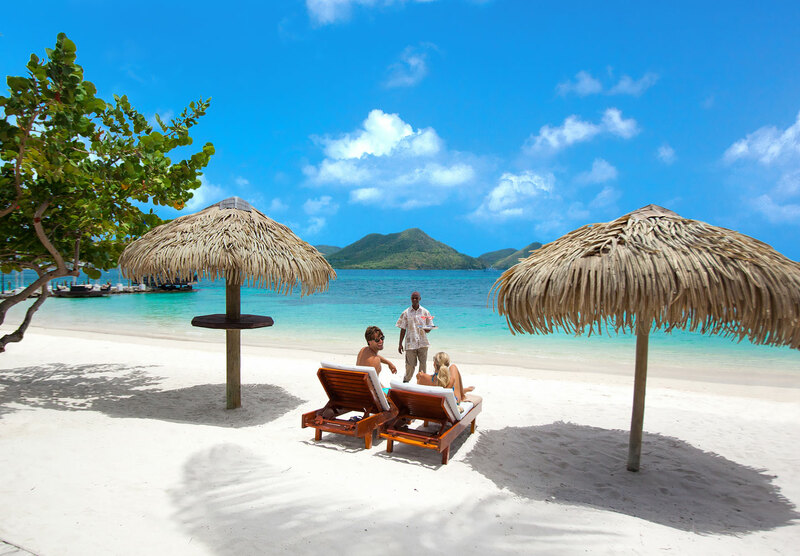 Sandals Grande St Lucia has it all. Nightly entertainment, billiards, a British pub and much more. 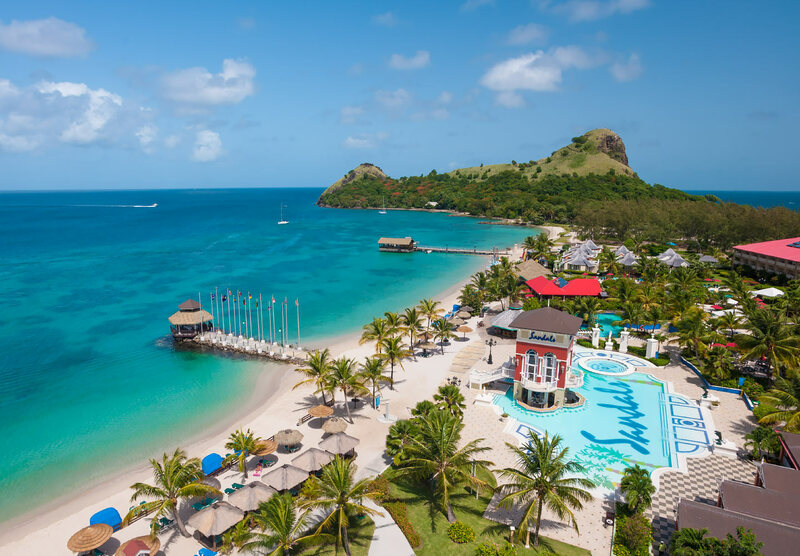 Along with the 6 restaurants and 12 bars, you have full exchange privileges with 2 other Sandals Resorts in St Lucia. This gives you access to 21 bars and 27 restaurants. Jade Mountain gives you full access to the adjacent Anse Chastanet. I hope that give you an idea of how drastically different these 2 are. Both are on the top of the list for you if you are looking for the best St Lucia honeymoon or best St Lucia wedding resort. You can just see that they are for different personalities. If you want what both offer, consider a split stay. I don't recommend a stay for less than 3 nights at each. If you have 10 nights, doing 5 and 5 is the ultimate honeymoon combo.